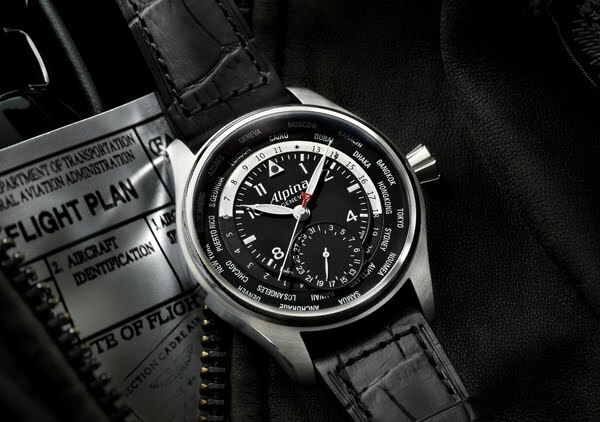 Alpina's Worldtimer features a rotating ring with the names of 24 cities inscribed on it. A second rotating ring has 24-hour markers. This is used to display time in different time zones. Local time is shown by a standard hour and minute hand. 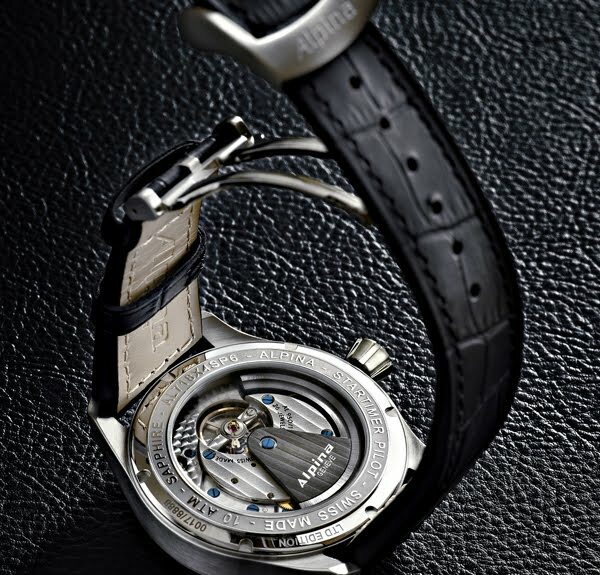 The Alpina Worldtimer has a mechanical automatic caliber AL-718 with 28 jewels and has a 48-hour power reserve. The watch is water resistant to 10 ATM. The watch is finished off with a black leather crocodile strap. The front and the back of the watch are covered with sapphire crystal. 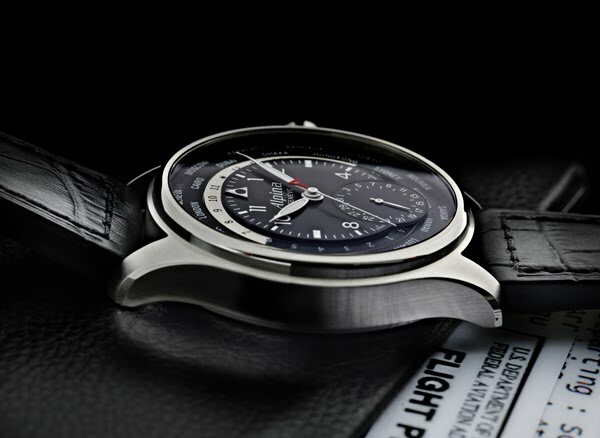 Developed in-house, the Worldtimer is based on the AL-710 caliber used in the Startimer Manufacture. The new Worldtimer caliber (AL-718) ensures easy adjustment of all functions, through a single crown. Best of all is its price, well below any other high-end Worldtimer with manufacture movement! This renowned airplane manufacturing company headquartered in Wichita, Kansas is a subsidiary of the US conglomerate Textron, a $10.5 billion company operating in 25 countries. Since its creation in 1927 Cessna’s strong devotion to high quality workmanship, precision and creativity and its passion for the aircraft industry, have led it to be an industry leader. Cessna is now the leading manufacturer and inspired designer of innovative, light and midsize business jets, utility turboprops and single engine aircraft. The Cessna Citation Mustang is an entirely new kind of business jet. One that’s designed - and priced – to bring the dream of jet ownership comfortably within reach of a whole new class of upwardly eager operators. Ample cabin-class seating, true jet speed and a good half-continent range. Extraordinarily high levels of performance and assurance are now available in a jet aircraft costing millions less. PrivatAir is a leading international aviation group with headquarters in Geneva, Switzerland and operating bases in Zurich, Düsseldorf, Frankfurt, Munich, Amsterdam and Bahrain. Services include Private Charter for VIPs and executives, Aircraft Sales & Management, Private Airline Services, Ground Services and Training. The company’s wide range of clients includes celebrities from the arts, sports and entertainment industries, successful business people, royalty and public officials, as well as private aircraft owners. PrivatAir aims to take the best practices of the commercial airline industry and to add the flexibility of business aviation, as well as its exceptional standards of service.